"By Far, the best customer support I have experienced!" I started with my company in the middle of our VOIP upgrade and with the help of everyone at Loop, I was able to pick up the pieces from my predecessor and complete the install without any major hitches. Every time I needed something, whether it was a new extension or a change to the call tree on Sunday, Loop was there to handle everything quickly, efficiently and most of, professionally. The only complaint that I have about the services provided by Loop, which is actually not one of their native services but a service they provide access to from another vendor, is their eFax service. The support I receive from Loop is great, but sometimes the issue is not something they can control. Complaints are typical, faxes not going through or the portal is down. Other then that, I have no other complaints. We have been able to cut costs by moving away from the several analog phone lines we had for faxing documents and moved to Loop's eFax. This saved us, overall, around $7,200 yearly and we have improved processes by removing the need to have a physical analog fax machine at each doctor's pod. The Loop team has been fantastic to work with. We had a few issues during implementation, but the team has been responsive. That is why we made a change...we needed a responsive team. Some of the online tools are not as "fancy" as what we came from, but everything has worked perfectly. We have had issues with porting numbers and I wish I could have worked this ahead of time so that I am not still having to pay my old carrier. They are a small team and make sure your business is right sized to work with them. We kept our phones we previously used and there were some issues with implementation, but they were extremely responsive and owned the issues. If you are porting numbers to them, make sure that you investigate completely. We are 30 days in and still trying to port numbers over. I was looking for a more economical VOIP solution with better customer service. I operate a small distributed business and do not have time to fool with settings and configurations. The Loop team handles everything for me. "Responsive, honest, professional and reasonably priced VOIP service"
They have a very quick response time and send e-mail updates on the status of the ticket. Everyone that we talk with at their office is always helpful and professional. They are also very efficient at making changes to the service. Honestly can't think of anything! The only "negative" is that because the phone lines go through the internet, whenever our internet goes down the phone lines do as well, however it is a quick and easy process getting phone calls transferred to a cell phone, if necessary. Much more reasonably priced than traditional phone lines, very easy to make changes to the lines (name on extension, adding/removing lines, etc.) and quick, easy communication between our 3 offices in 2 states. "Consistently The Best Customer Service Team!" No matter who I'm working with on the Loop team, I always get quick, reliable, and friendly responses. Their staff is extremely competent, and get to the root of any issue or question that arises. Their billing and service packages are transparent and easy to understand. I do wish I had the capability to change our greeting message without having to email/call Loop customer service. If your company has not previously used a VOIP system, check with your IT Admin to ensure your networks can handle the additional load of the VOIP phone system. When my company started using Loop, we were transferring off an archaic phone system to new VOIP system. The phones we've purchased from Loop have brought relevant technology that integrated easily with our business needs. The professionally recorded greeting, ability to be alerted/listen to voicemails via email, a company directory within the phone, and an online portal to customize our speed-dial settings are some of the features that has immediately helped our business. Loop provides the perfect solution to fit our business needs. Whether it's setting up a single phone or creating an advanced call routing plan, it's never been an issue. The support response times are amazing as well. Most of our requests are completed within 10 minuets of opening a ticket. Nothing so far. Everything has met our needs. If you are looking for a no-hassle solution that just works, switch to Loop. We currently have around 70 devices managed by Loop, and our experience has been fantastic. Loop has created a solid platform for phone service. With our previous provider, we had frequent service outages and issues with our hardware. Since switching, we rarely have issues. Support. We had an instance where a user was entering his vm password incorrectly a few times, his phone then rang and it was Loop support asking if he needed help. So far, nothing. I thought I'd have an issue with latency or something, but it's been great. I ended up becomming a reseller after I bought it for our own use. I was able to get a full featured phone system that does everything we need and is nimble. Excellent VOIP and THE BEST SUPPORT I'VE EVER EXPERIENCED!!!! HANDS DOWN! We are very satisfied with Loop's VOIP product and the support. There's nothing we dislike. If you need a VOIP solution AND you have rigorous requirements AND you want the highest level of service at a reasonable price then Loop Communications is the right choice. Loop's VOIP solution provides us with nearly unlimited flexibility in the way we communicate. We have some complex requirements for our dial plans in order to support our client base. Loop's solution is tailored to our business needs giving us the communication tools we need to provide service to our clients. The team at Loop Communications have been extremely responsive. We currently have no dislikes. They have been doing a great job! NDSE Inc. Highly recommends using Loop Communications as they are a very personable group that takes a great deal of pride in their service and delivery. As a service company, we had lost our VoIP phones for the majority of a day. Loop Communication was able to get us back up and operational on their platform within an hour so we could continue our operations. We encounter few issues with Loop. On the rare occasions that we need to contact them for assistance, they are always friendly and prompt to respond and resolve our service requests. I can't think of any things that I dislike about Loop. We rarely experience any issues and they're always resolved quickly when we do. Loop Communications has allowed our entire company to be more efficient by providing great (and simple to use) products and excellent service. Our business has grown exponentially over the past decade and Loop has remained an excellent vendor. "New technologie at its best." We have the ability to have many phones with only one line. I patients calls can be answered and therefore reduces the frustration of hearing a busy signal. Enjoy the fact that we have a support staff to handle any issues with the phones. This is a much more professional approach for our clinic. I have not found anything I dislike yet. We probably need to use more features that we currently do. Reduced busy signal for callers. No waiting by employees to make calls due to limited phone lines. When we started using Loop, the process was super simple and effortless. We had all the tools we needed to successfully use our equipment. We are a large corporation and we needed Loop for one of our small offsite offices. Because there are so many levels to me, I feel like I wasn't passed on the information I needed although I'm responsible for the system at this location. This is of no fault to anyone directly. This worked for us as we have a remote location. We don't need a permanent receptionist there right now, so we were able to use an automated answering service for the phones. Ease of a phone system. Not difficult to use and has helped with the absence of a switchboard operator. Loop Communications has excellent service. Their sales team is thorough and their technical support team is fantastic, their response time is quick and direct. Nothing, I have been very pleased with all aspects of their service. Loop manages our phones/IP Phones, They installed and service. "Good service and product "
I can send an update email for my recording directly to loop. I get an email back that day, sometimes even within the hour and it's complete within 48 hours. Now that is fast service. Support is accessible and friendly. I haven't had any troubles yet. I wish I knew how to forward my calls to my cell phone when I am not in the office. That way, I would never miss a call. We have multiple phones in our offices including a conference phone in our conference room. Not having to worry about our communication due to the great customer service is phenomenal. Thanks for submitting your feedback on G2, we really appreciate it! In regards to forwarding calls to your mobile, you can do this yourself using the user control panel, or you can just let us know how you want it set up, and we can do it for you. Below are the options you can choose from. We will have support reach out to you, and get you set up! - Unavailable, which rings your desk phone first, and then forwards if you don't answer. - Unconditional, which immediately forwards the call, without trying your desk phone first. - Busy, which forwards if you're on another call. The representative helping me (Rebecca) was very kind and patient. She was able to assist me with setting up my service and provided further training material. Nothing really that I disliked about Loop Communications. So far they are spot on! The phone service is one of the most user friendly I've encountered. Definitely recommended. "Outstanding Customer Service; great reporting features"
Every time we need something or have a question, James is there to help. Plus, with the way their systems are set-up, we have every feature we need regarding call tracking for our 10+ offices. If I had to choose something, I suppose it would be a slightly easier way to decipher reports but this is minimal compared to the data we can access. We are now able to assess how are phones are being answered, where the weaknesses are and reward those employees who are doing an outstanding job. The ability to contact loop anytime and they will respond promptly with an eagerness to assist. Truly nothing. We had an issue with Time Warner Cable/ Spectrum, and even though it was not their fault they did everything they could to verify they had everything in order on their side and made appropriate suggestions to assist. We use Loop for our VOIP and when we have any hiccups or changes in names on phones, or extensions, they have been there attentively assisting. "James and his crew take utmost care of us"
The team at Loop is extremely responsive and are able to resolve any issues we have within minutes of our trouble tickets. There isn't anything that I dislike. Even when I have a question about a feature that they don't have available, they begin looking into a solution. We have a system with a call in queue. It took a while to setup and we have tweaked it a bit but the Loop team have been patient and persistent to get it done for us. Service, equipment and set up. The support team is phenomenal via phone and email support - they are fast and quick to understand most any question. So far, nothing! I haven't found any thing worth stating here. Great phone and system! It is user friendly, I can import/export contacts and their numbers for easy transfers, portal communication, voicemail to text translation. It's wonderful tool in today's world. The phones themselves could have a higher volume which would help in our busy loud office! "Customer service was pretty good." The phone conversation was professional . Can't think of anything. There was mention of an app that would allow me to use my headset through my cell phone and show my work number and name on caller id. Was trying to get a headset to work with my office phone. The prompt responses is what I like the best. I send an email and they respond very quickly and resolve my issues. There is no dislikes thus far. I would let the customer service know if I had issues with their services. If I have nothing negative to say, I will not makeup something. The visual voicemail is my absolute favorite and clients can no longer say they have been leaving messages for months because my emails will tell me who has left messages. The support has been amazing. They are quick to respond and resolve anything you need from them. We are using them for their phone service and the phones are very good but the support we have received has been amazing. Would recommend them because of the amazing support. User friendly details and the ability to customize your experience. Sometimes the connection is choppy making the quality less than great. Easier and more efficient communications. The timely manner that the problems were solved you have a Great Team especially Brandon he is a problem solver and does a follow up every time !!! Great support staff !!! knowlegable ! Loop has the best customer support! Always so quick to respond and help! Really makes a difference when working with a phone company. Nothing! Best move we made for phone service. Of course there were general set up items and they were amazing. Since then they are so great to quickly change voice mail items, help with office transitions etc. "They are always helpful and accomodating." They are willing to do whatever needs to be done to make things happen. They are always willing to help or at least figure it out. There is not anything I dislike as there it always someone available to help with trouble shooting and requests. We have multiple extensions and they have narrowed the problems and stream lined our network. Tech Brandon is wonderful to work with and very patient. I am not sure what I dislike. This is a new phone system for us but so far so good. We are a dental office with several locations. At times we share patients so it allows us to communicate between offices quickly and easily. 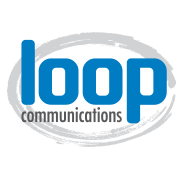 Loop Communications is able to rectify any issues or questions that we have very quickly. I can't say anything bad about this company Loop has been there for our company from the git go. 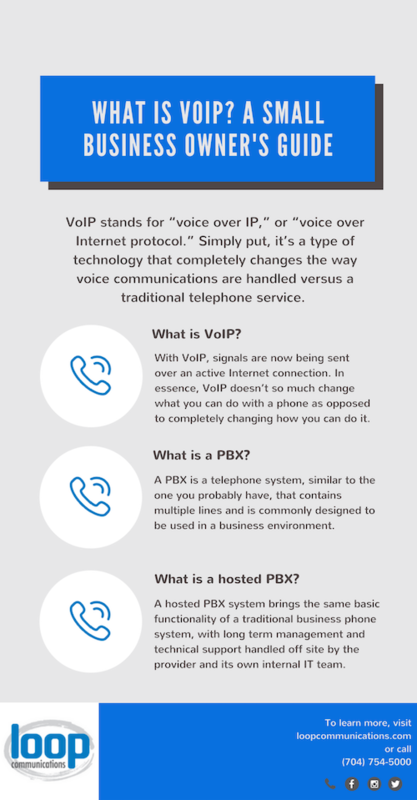 They have set our company up with a extensive VOIP system that allows us to use extensions to reach across the state. I cant really think of anything that I dislike about the product we currently use. ability to transfer calls across 10 different locations! Thanks for submitting a review, we appreciate the feedback! You can see your call history and download recorded calls by logging into your User Control Panel. We'll send over instructions. Friendly and quick response time if we ever have issues. No complaints what so ever, so nothing to comment on. I have referred them to friends that own their business and they are thoroughly satisfied. Check them out and you will be very happy. "Loop gets the job done"
Service, quick resolutions to issues Always talking to the same folks so I know who I'm talking to. Nothing really. I've been very happy with Loop. "Exceptional service, communication, support and transitional assistance. " LOOP has a simple, easy and honest way of communicating with no hidden fees or difficult hurdles. They are technically competent and simplify things in order to make easy business decisions. Their service and integration has been flawless. Lastly, they are extremely honest. Centralized call center and reporting for 5 offices with seamless integration. More cost effective than landline systems. "Excellent, efficient, and very friendly service"
Efficiency and the help they give when we have any issues, not there have been any to speak of! Loop is a great choice for your phone needs. The voicemails are unable to be sent via email text. Talk with a sales rep and get the facts on how easy it is to get started with Loop. They configure everything for you! Benefits of not missing the few calls we do receive. Voicemails are efficient to retrieve. "Loop has a fast response time"
Friendly staff,fast response time and dedicated to finding solutions. Phone addition created issue that took several days to resolve. Communications via telephone service. Easy access, local service. They are very friendly and very easy to work with. They satisfied all of our phone needs in a very timely manner! I have nothing bad to say! They are wonderful. We have 2 separate entities to our business that they have been able to manage while only utilizing one phone line. They have been amazing at handling our ever expanding needs. Always very responsive and thorough to complete requested action. There is really nothing I dislike about Loop! Better communication throughout the company. An attentive customer service and tech support team. Technology could be more update - like a more advanced portal with an app that can be downloaded onto a desktop and phone which includes a chat window to talk with co-workers. The ability to answer phone calls even when out of the office. "change message for phones down"
Everyone was very helpful. They were also very polite. My issues were handled promptly. I was very satisfied with everything and have no dislikes at this time. Loop Communications responded to me quickly and let me know a workaround. Didn't know that there was an issued with emailyourfax until I tried to send 3 different faxes and none were going through. Phone and Fax combined - don't have to have a separate machine for faxes. Saves time and money. "Nothing but a great experience with Loop." The customer service with Loop I always quick, friendly, and reliable. I would like Loop to integrate with more systems. Loop always provides a clear reliable connection we can count on. All associates are super friendly, and extremely helpful and quick. Nothing. They are always there when I have an issue, they always have a solution for my problems. Making sure there are no tech issues within the office! "Great partner fir our firm, excellent service"
Prompt response from customer support if there is an issue. Reliable service and user friendly. A little more in the way of some technology advances. Company telephone system. Call tracking and call reporting dashboards as well. The quick and easy customer service requests and follow through. The missed calls notification is too much. Nothing. Customer service responded nearly ommediately. * We monitor all Loop Communications reviews to prevent fraudulent reviews and keep review quality high. We do not post reviews by company employees or direct competitors. Validated reviews require the user to submit a screenshot of the product containing their user ID, in order to verify a user is an actual user of the product. Hi there! Are you looking to implement a solution like Loop Communications?